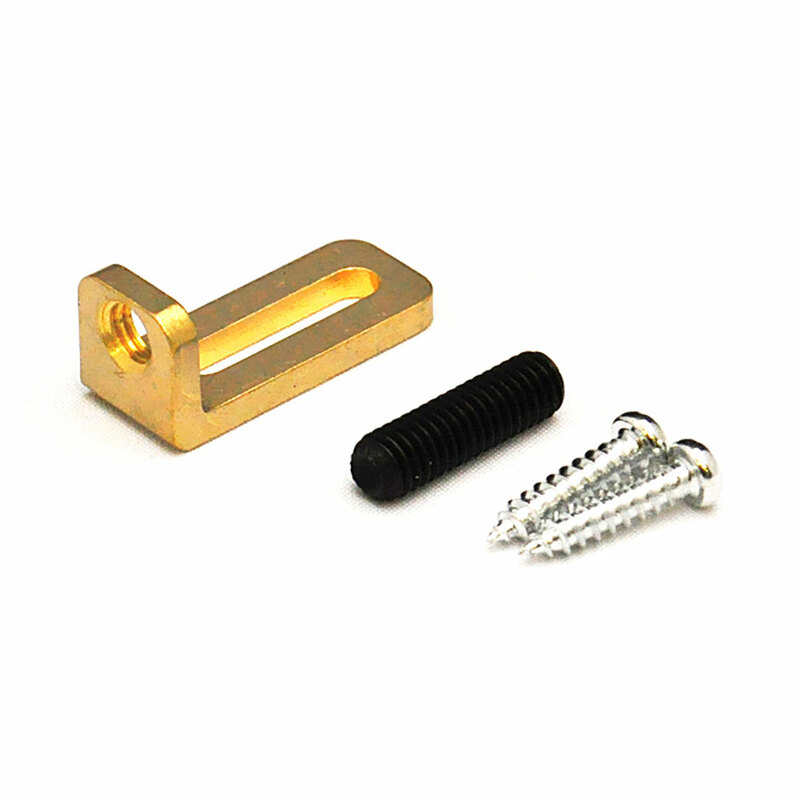 The Floyd Rose Original Tremolo Lock Stop is installed in the tremolo spring cavity and has an adjustable screw that rests against the tremolo block. The lock stops the tremolo from being pulled up, allowing dive only movement, this ensures the tremolo always returns to the same position after bending, stabilising the tuning, and stops the guitar going out of tune if a string breaks. Please note the Lock Stop is made for Floyd Rose by Pro Rock Gear and comes in their packaging.